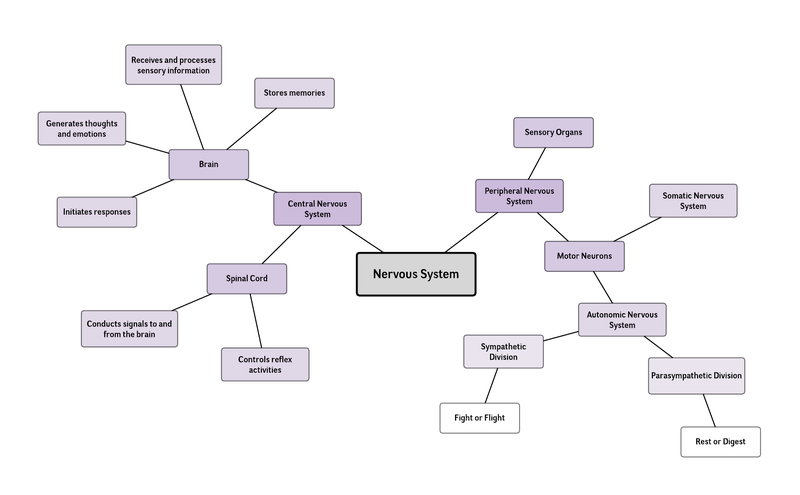 The nervous system can be a complicated topic of study, but this nervous system mind map example clarifies how various parts of the nervous system relate to one another. To edit this nervous system mind map template, first sign up for a Lucidchart account. Once you log in, you'll be able to adjust the text, arrangement, and formatting as you like.